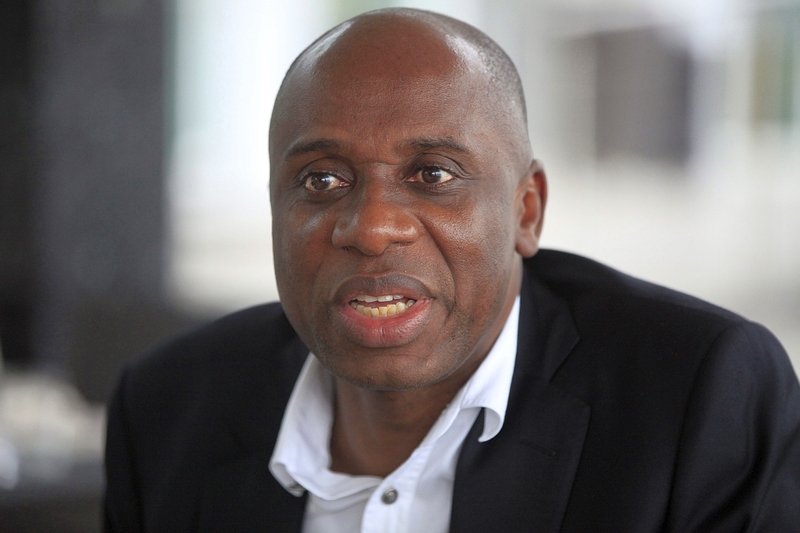 Chibuike Rotimi Amaechi, the minister for Transportation has won the 2015 Igbo Man of the Year Award. While disclosing that the award will officially be conferred on Hon Amaechi on Saturday, January, 30, 2016 at Nike Lake Hotel, Enugu state, he stated that the Deputy Senate President Ike Ekweremadu emerged as the outstanding Igbo politician of the year. According to him, winners of other categories include Governor Willy Obiano- the best Igbo Governor of the year, Senator Hope Uzodimma, the Igbo legislator of the year, Chief Ifeanyi Ubah, the Igbo entrepreneur of the year, Leo Stan Ekeh, the Igbo Scientist of the year, Prof Ben Nwabueze, the Igbo Elder statesman of the year and Prof May Nwoye the Igbo Woman of the year. Others are Dr Ogbonnaya Onu, the Igbo Minister of the year, Chief Charles Okereke, the Igbo Journalist of the year, Chief Innocent Chukwuma , the Igbo investor of the year, Chief Author Eze, the Igbo philanthropist of the year and Chief Maduka Onyishi, the Igbo Transporter of the year. On why Amaechi won the award, Okwu explained that “his actions before and during the 2015 presidential election has so much helped in deepening Nigeria’s democracy. “We recall how he doggedly fought and retained his position as the chairman of the Nigerian Governors’ Forum, against all odds. “Apart from that, as the Director of President Buhari’s campaign team, he gallantly led the fight that led to the change in the country today. These no doubt, put him forward as a true Igbo son from the South-South. “On the part of Senator Ike Ekweremadu, apart from the effective representation he has given to his constituency and the South-East Zone, he emerged as the Deputy Senate President against all odds”. On the recognition of Gov Willie Obiano as the best Igbo Governor of the Year in the zone, he explained that even though all the governors, especially the three new ones, had make remarkable impact, the Anambra Governor had created so many indelible records. He further stated that other categories of awards to be announced later include the Igbo Sportsperson of the year, the Igbo Farmer of the year, the Igbo Academic of the year, the Igbo footballer of the year, among others.